Efforts by the Islamic State of Iraq and Syria (ISIS) to recruit young Americans and other Westerners are raising concerns with U.S. law enforcement. The FBI and Department of Homeland Security sent an alert to local and state law enforcement agencies this week, two law enforcement sources confirmed to CBS News investigative producer Pat Milton. The warning described the effectiveness of the terror group's social media message, which urges young people to travel to Syria and engage in jihad. It requested that local agencies pass on any relevant information to the Joint Terrorism Task Force. Thousands of Westerners, including teenagers, are believed to be fighting alongside ISIS and other terror groups in Syria and Iraq, and others have been arrested while trying to travel to the region. Three teenage girls from Denver, sisters aged 15 and 17 and a 16-year-old friend, were stopped in Germany last October, reportedly en route to Syria. Also in October, 19-year-old Mohammed Hamzah Khan was arrested at O'Hare International Airport in Chicago. He has pleaded not guilty to attempting to provide material support to a foreign terrorist organization. Khan's younger brother and sister were also detained but have not been charged. Shannon Conley, a 19-year-old woman from suburban Denver, was sentenced in January to four years in prison after pleading guilty to one count of conspiracy to provide material support to a foreign terrorist organization. In mid-February, three British schoolgirls, ages 15 and 16, were reported missing after taking a flight to Turkey, apparently on their way join ISIS in Syria. Authorities said another girl from their school had disappeared in December. As their families begged the teens to come home, Prime Minister David Cameron issued a warning for "every school, every university every college, every community to recognize they have a role to play, we all have a role to play, in stopping people from having their minds poisoned by this appalling death cult." 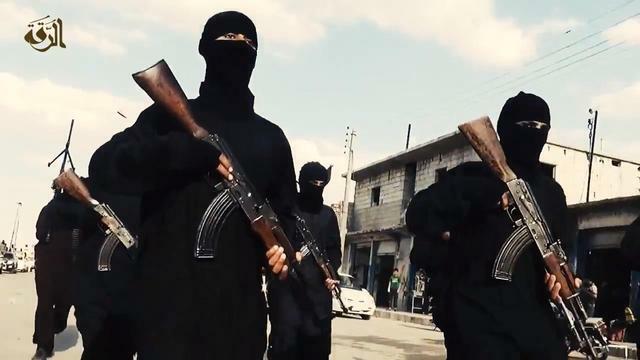 Last week, the ISIS executioner dubbed "Jihad John" was identified as Mohammed Emwazi, a 27-year-old who grew up in London and graduated from a university in the U.K. before joining the terror group in 2013. CBS News Foreign Correspondent Clarissa Ward traveled undercover to Syria last fall and interviewed two Western jihadists -- an American and a Dutchman -- about why they fight. "I don't hate America," said Ibn Zubayr, who joined the al Qaeda-linked Jabhat al Nusra rebel group. "That's my home. That's where I grew up. I don't have a need to hate America itself. But the government and their policies as far as the Muslim lands, that's another story." Lawmakers in the U.S. and other nations are pressuring social media companies to do more to combat the spread of terrorist messages. At a global summit in February on combating violent extremist, President Obama said he wants to shut down the ISIS propaganda machine, which produces as many as 90,000 posts on Twitter, YouTube and other social media platforms every day. "The high-quality videos, the online magazines, the use of social media, terrorist Twitter accounts -- it's all designed to target today's young people online," Mr. Obama said.